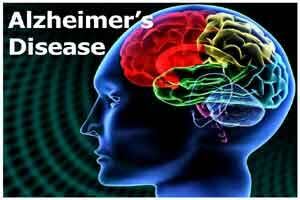 Washington : A simple sniff test may help accurately identify people at risk of developing Alzheimer’s, according to a new study which found that sense of smell declines sharply in the early stages of the dreaded disease. The test may also be useful for diagnosing a pre-dementia condition called mild cognitive impairment (MCI), which often progresses to Alzheimer’s dementia within a few years, researchers at the University of Pennsylvania in the US said. Neurologists have been eager to find new ways to identify people who are at high risk of Alzheimer’s dementia but do not yet show any symptoms. There is a widespread consensus that Alzheimer’s medications now under development may not work after dementia has set in, researchers said. “There’s the exciting possibility here that a decline in the sense of smell can be used to identify people at risk years before they develop dementia,” said principal investigator David R Roalf. Roalf and his colleagues used a simple, commercially available test known as the Sniffin’ Sticks Odour Identification Test, in which subjects must try to identify 16 different odours. They administered the sniff test, and a standard cognitive test (the Montreal Cognitive Assessment), to 728 elderly people. The team used the results from the cognitive test alone, or combined with the sniff test, to see how well they identified subjects in each category. The sniff test added significantly to diagnostic accuracy when combined with the cognitive test, researchers said. For example, the cognitive test alone correctly classified only 75 per cent of people with MCI, but that figure rose to 87 per cent when the sniff test results were added. Combining the two tests also enabled more accurate identification of healthy older adults and those with Alzheimer’s dementia. The combination even boosted accuracy in assigning people to milder or more advanced categories of MCI. “These results suggest that a simple odour identification test can be a useful supplementary tool for clinically categorising MCI and Alzheimer’s, and even for identifying people who are at the highest risk of worsening,” Roalf said. Prompted by prior studies that have linked a weakening sense of smell to Alzheimer’s, doctors in a few larger dementia clinics already have begun to use smell tests in their assessments of elderly patients. Part of the reason the practice has not yet become common is that the tests that seem most useful take too long to administer. Researchers are now trying to develop a briefer test that works as well as the longer ones.